Think it’s possible to steal everyone’s money on the planet and control all the nations? Well in 1913 someone had this idea and thought it was possible. And guess what? It came true. Remember what we talked about in the last article, the gold smiths’ a long time ago never intended for the public to find out about their secret… fractional reserve banking. In the wrong hands this invention is more powerful than the nuclear bomb. It has the ability to completely destroy a nation, think back to your history class when they talked about the great depression. Or better yet think about the year 2008, our most recent recession. How many people did you know personally that suffered and had to struggle? It affected everyone in the whole nation equally… well except for the extremely wealthy that is. Still not sure if the Federal Reserve is all that bad? Well there’s only one way to find out, let’s take a look at the history and actions of the Federal Reserve since their conception. Actually, before the Federal Reserve was even officially established, the people in charge of it were very busy (well mainly one person was that is). 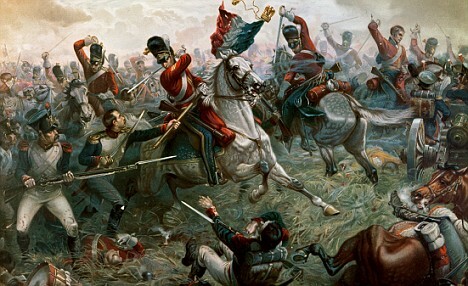 The battle of Waterloo, fought on Sunday, June 18, 1815 in present-day Belgium. Then it was a part of the United Kingdom of the Netherlands, but Napoleon Bonaparte set his eyes on capturing it with his Imperial French army. As we know Napoleon lost that battle, which ended his rule as the Emperor of the French. But, there is one thing you’re not taught in the history books about this battle which is even more interesting than Napoleon’s dynasty coming to an end. What could that possibly be, you might be thinking. Well you see both sides of the battle were actually funded by the same group of people. Rich banker men from Germany, called the Red Shield, financed both sides of the war. Now just take a second and think about that, no matter who won they would still win. Strategically it’s genius, but morally, well let’s just let you come to the conclusion about that. How and who would be capable of this? See the mastermind behind all of this is Nathan Mayer Rothschild. Nathan’s father (who started the banking trend in this family) changed their last name from Bauer, because of the Anti-Semitism at the time in Germany, to Rothschild, which is German for “red shield” and an old symbol of their ancestors… now it represents the cartel of the global banking elite and Federal Reserve. Nathan was born September 16, 1777 and died July 28, 1836 (aged 58). In his lifetime he “accomplished” more than most people could imagine, and started something that he himself most likely couldn’t have imagined. 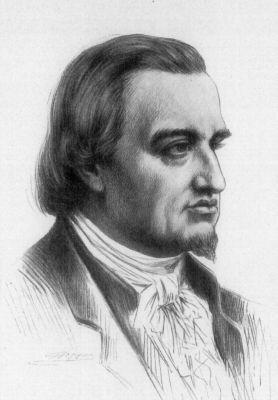 He was a German-Jewish banker and financier, one of five sons of the second-generation of the Rothschild banking dynasty. When he turned 21, he settled in Manchester, England and established a business in textile trading and finance, doing decent for himself (although his father was wealthy). Later he moved to London, England and started to deal on the London Stock Exchange with foreign bills and government securities when he was 27. One year later, he made a fortune in trading bills of exchange through a banking enterprise. When he was 32 he began to deal in gold bullion, doing even better than before. At the age of 34 (the year 1811, 4 years before the battle of Waterloo) he began loaning money to pay for Wellington’s troops (Napoleon’s opposing force) and later secretly began loaning money for Napoleon’s troops. His four brothers helped co-ordinate activates across the continent, and the family developed a network of agents, shippers, and couriers to transport gold and information across Europe. Nathan’s father assigned all of his brothers to each control banking in key areas across Europe. Nathan had England, and the others were: Germany, Austria, Naples, and France. Incredible what a few people are capable of huh? By their father's order, family members even intermarried with first and second cousins, keeping the company sealed tight against outsiders. At their height, the Rothschilds' wealth, if it had been pooled, would have been the largest single fortune in world history. But it gets even better than that. This private intelligence service enabled Nathan to receive in London the news that Napoleon lost at the Battle of Waterloo a full day ahead of the government’s official messengers. With this knowledge, Nathan decided to publicize false rumors that tricked the London Stock Exchange into believing that Napoleon had won. 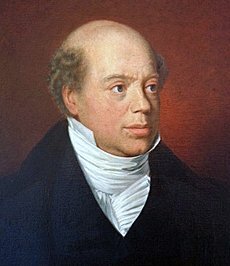 Nathan even started selling his English stocks, causing others to do the same in a frenzy to get rid of their “worthless English money.” The resulting Stock Market crash enabled Nathan Rothschild’s agents to then buy up the London Stock Market dirt cheap and seize control of the Bank of England right before London found out the truth about the battle. One can only imagine how many people’s hard earned savings and lives were destroyed because of this. When the English leaders found out they had no choice but to give their money over to the Red Shield, as slaves to the war debt. Since that time, the English have been paying their national taxes directly to the Red Shield private bankers, (i.e. Rothschild Family) while the majority of their people have no clue… and yes, this is still going on till this day. In spite of what Nathan did, he was quoted for even making a smart remark, “Give me control of a nation’s money and I care not who makes it’s laws.” Arrogant, yes. This is some feat isn’t it. Poor England is still suffering from that event 200 years later, and will mostly likely not end. But now what if he did it again? But this time gained control over another country as well? Sounds impossible? Even while owning a huge amount of the British economy, he was still hungry for more. And rest assure, he acted on that greed. The Rothschild brothers repeated the exact same fraud in 1929, but this time with the New York Stock Market Crash that caused the Great Depression. It took them until this time to fully gain control of America, but they tried even before this. Their goal was nothing less than to end the American Dream of free men, and eventually they were successful. Every man and women till this day after all is faced with the exact same consequences of England’s people… paying their hard earned money through taxes to the Red Shield, or should I say Federal Reserve. Maybe taxes aren’t that bad right, but how did the recession make you feel? 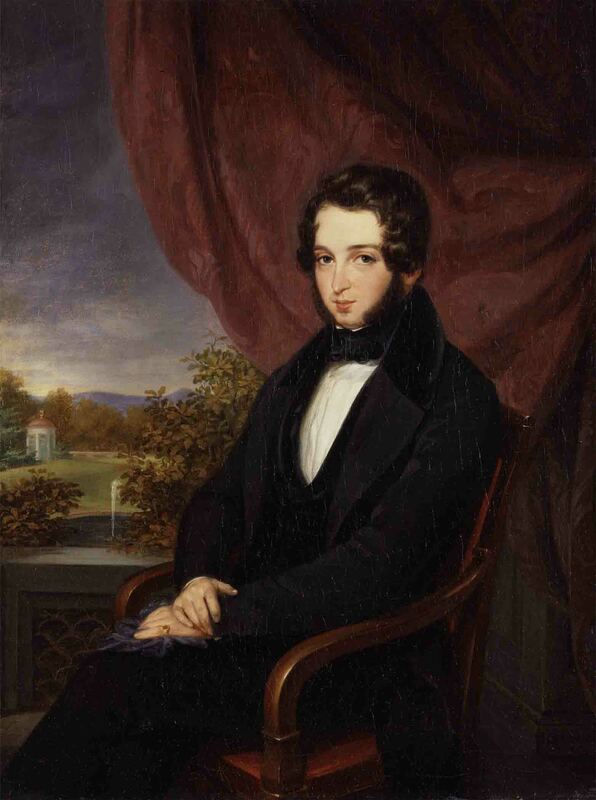 To read how the Rothschild Family took over America click here to read the next article. Although I actually enjoy writing about positive things, this story keeps getting worst.